Sacktown Sub News: Captain Submarine Returns. | Sack-Vegas!!!! Well lookee here! 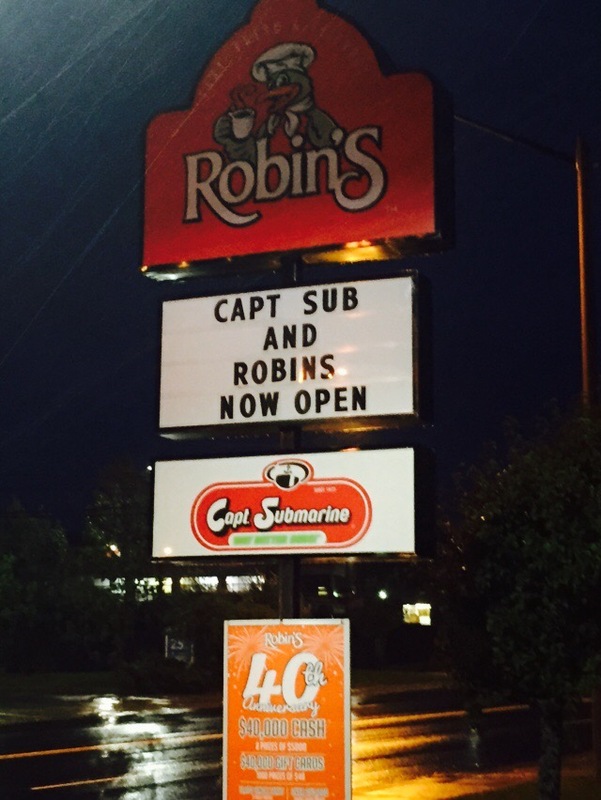 The hot, fresh and friendly staff at Robin’s will now be serving up some toasted sub goodness. We had a Captain Submarine here about 10 years ago, I’m thinking. Down by Scotiabank. They make a pretty good sub! I wonder how they will make out this go-round where Quizno’s and Mr. Sub flopped. You gotta bring your sub “A game” to Sackville with Subway and kaiser’s here. Welcome back to the ‘Sack, Captain Submarine! Posted by Sacky on October 1, 2015 in Uncategorized.